Question: Are you a Millennial? Hint: You were born between 1982 and 2004. If you are, then this may be the most important decade of your life - the decisions that you take about your education, career and health will be steering the direction of your future! “Good habits formed at youth make all the difference”, said Aristotle. This is also the perfect time to get your finances in order. 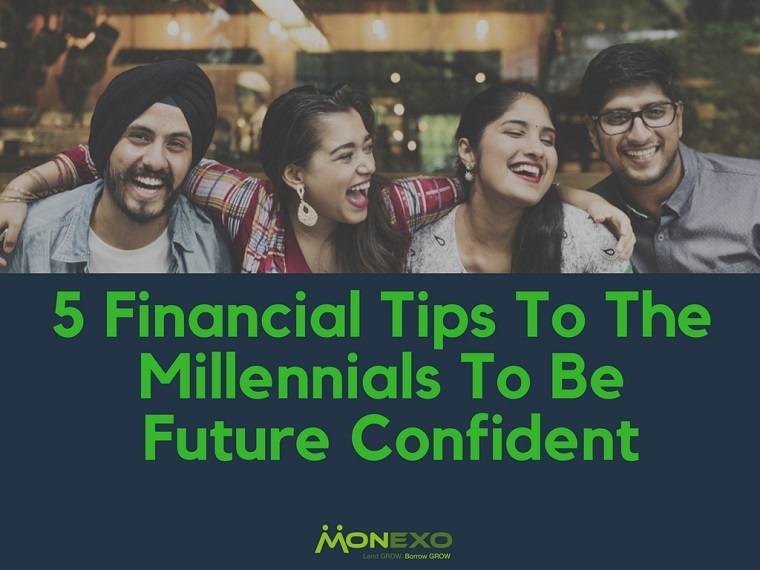 Here are some ways you can have a sound financial future. Have you ever wondered the difference between your needs and your wants?Your needs are limited – roti, kapda, makaan! But your wants may be unlimited - the latest iPhone 7+, Nike Sneakers , Nikon DSLR, an airline ticket to Dubai and what not! Wants are needs that can be fulfilled only with ability to pay for it. So you must prioritise spend and decide on what you want to accomplish financially with a well laid plan. Your money goals may include purchasing furniture for living room or buying Maruti Swift or going on a trip to a hill station. These goals change from time to time, but by setting realistic goals and expectations for your future, you’ll be able to spend more carefully year after year. There are significant benefits of getting an insurance when you are young. Never bypass health insurance! Diseases and accidents comes without an invitation. It is better to pay a premium for health insurance rather than paying huge bills for treatment of unexpected hospitalization. Same applies to a life insurance. There are many insurance companies which provide a variety of coverage according to your needs. Invest in an insurance policy today. Unexpected expenses will always pop up as you grow old. It always helps to save for a rainy day - do have an emergency money plan. In investments, you need to have a disciplined and patient mindset to watch your amount compounding to higher value. Build a diversified portfolio across assets. Other than traditional investment options such as bank deposits, mutual funds, real estate etc, you can explore alternative investment classes such as peer to peer lending. Peer to peer lending provided by companies like Monexo will appeal to you if you are looking for a simple and convenient way to investing in a new asset class and earn superior returns. How much you need to save depends on your own preferences, but just make sure you save an amount that you can feel comfortable with. Your Credit Profile is your financial mirror which represents your credibility and financial health.It is determined by the credit score which is given by credit bureaus(CIBIL, CRIF, EQUIFAX or EXPERIAN). The Credit Bureaus maintain your credit information records submitted by banks and lenders. After reviewing your credit profile, banks and NBFC’s determine loan eligibility and limits. Hence having a good credit score ensures a better financial future. Living frugally does not mean that you have to cut out all expenses at the cost of your hobbies & interests as long as you can afford it.. If you value something and it makes you happy, fulfill your desires ,go for the dream tour or vocational course you always wanted to do. These habits will stay with you for a lifetime. Saving is not just a term, it is an art and with time and practice, you can make your financial future strong.